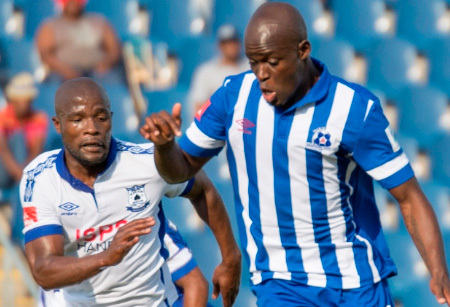 Maritzburg United will be targeting another home win when they face Platinum Stars in an Absa Premiership encounter on Saturday, 18 October 2014. Kick-off at 20h15. The Team of Choice suffered back to back League and Cup defeats to Kaizer Chiefs, both by a single goal ( 0-1), and will be keen on getting back to winning ways at their Harry Gwala Fortress. The KwaZulu-Natal side are unbeaten at Home this season, after defeating Polokwane City and Chippa United before being held to a goal less draw against MP Black Aces in their last home fixture. The Team of Choice are placed 8th on the Absa Premiership log with 9 Points while Platinum Stars are placed 12th and are a point behind the Team of Choice. “Stars will be very high in confidence after beating Chippa United in the Last 16 of the Telkom Knockout, however we have to make use of the advantage of playing at home”, said Captain Ashley Hartog. 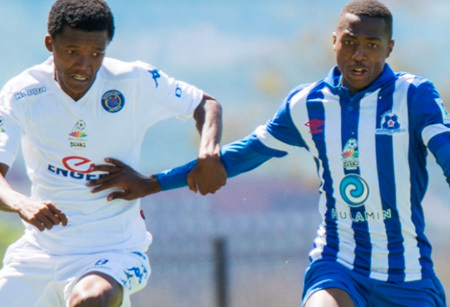 With the Reserve Team set to kick off Saturday’s proceedings with a Multichoice Diski Challenge Fixture against Moroko Swallows at 13h00 at the Harry Gwala Stadium, a bumper day of Football Festivities awaits at the Harry Gwala Stadium on Saturday. A limited number of Season tickets are still on sale at BARGAIN PRICES. For the Gold Package , you get a replica jersey and a season ticket to twelve games, for only R250. (These games exclude Chiefs , Pirates and Sundowns games). They are obtainable at the Club Offices, at No.397 Victoria Rd, Pietermaritzburg and at the Tourism Hub at Freedom Square. The Club have also launched a “Buy 1, Get 1 Free” ticket special which are available at all the ticket outlets with the exception of Computicket and Shoprite Checkers.